Tropical and marine fish are big business. There are over 10 million households supporting tropical & marine fish in the United States. Tropical farm-raised fish are the number two export from the State of Florida. Thousands of businesses present tropical and marine fish in their decor to amuse clients as they wait their turn for services and appointments. Aquariums are found in virtually any business that has a lobby or waiting room, such as doctor's offices, hospitals, airports and restaurants. Aquascaping is a growing hobby throughout the United States. The aquascaping enthusiast is underserved by the lawn & garden stores who attempt to meet the demand but without the expertise to insure the customer's success. 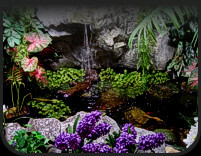 Landscaping, ponds and pond fishes combine for one of America’s fastest growing interests. The aquatic hobbyist and commercial aquatic client are served by a fragmented aquatic retail services industry. Most retail aquatic stores are operated with little or no formal training in business operations. Inconsistencies in inventory, quality of live fish & aquatic animals, and customer service are the rule rather than the exception. Hundreds of thousands of clients throughout the United States have given up the aquarium concept because they were improperly served. These lucrative accounts can be realized anew with professional presentation and service. 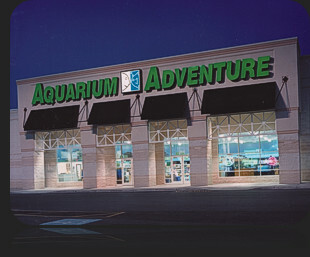 The first Aquarium Adventure store was opened in 1996 in Brooklyn, Ohio, a suburb of Cleveland. 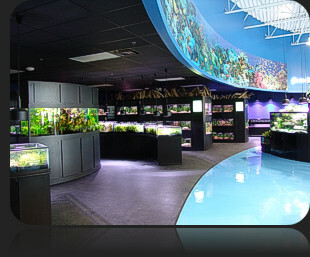 The showroom has 9,000 square feet and about one-quarter of the floor space is devoted to the display of live fish. The other three-quarters are dry aquariums and fish supplies. The current franchisees, Tom and Dan Tacsar have been lifelong aquatic hobbyists with over a quarter of century of industry experience. The second Aquarium Adventure store was opened in 1997 in Columbus, Ohio under the direction of Bill Wymard, the co-founder of the concept. The showroom has 12,000 square feet. 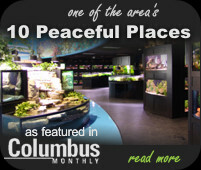 The Columbus Aquarium Adventure store has become the "research & development" headquarters for the Aquarium Adventure franchise as well as the fish departments in Petland stores throughout the world. Aquarium Adventure Columbus has grown to a $2.5 million retail enterprise in a trade area that reaches out to approximately 700,000 residents. 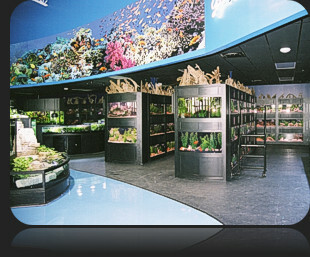 The third Aquarium Adventure store was opened in 2003 in Long Island, New York by a father and son franchisee. The Carle Place location franchised by Steve and Scott Hiller is a 10,000 square foot showroom. With a large indoor pond, shark display tank and many other beautiful displays, Aquarium Adventure Long Island is the "Apple of New York's Eye." In April of 2006, the “Latest and Greatest” Aquarium Adventure store was opened in Hoffman Estates, IL a suburb west of Chicago. This 18,000 square foot combination store of Aquarium Adventure and Petland is a first in the U.S. As the Aquarium Adventure concept develops, so do the designs, displays and operations. All have changed and improved in this newest venture orchestrated by franchisees Dan and Janet Star. Based on the continued success of the Aquarium Adventure stores, franchises are now being offered nationwide. The Aquarium Adventure franchise offers a complete operating system including merchandising, marketing, management & personnel training, supplier network, financial controls, site selection, lease negotiations, store design & construction. As an Aquarium Adventure franchisee your needs will be met by a company dedicated to your profitability and satisfaction. Aquarium Adventure's retail operating system is an evolution of the Petland© franchise system which has been successfully executed throughout the United States, Canada, France, Chile and Japan for over 40 years. If you would like to learn more, please complete the application. Your information will be held in strict confidence. None of the communications made through this website should be construed as an offer to sell any Aquarium Adventure franchise to, nor is any such communication directed to, the residents of any jurisdiction requiring registration of the franchise before it is offered and sold in that jurisdiction. No Aquarium Adventure franchises will be sold to any resident of any such jurisdiction until the offering has been exempted from the requirements of, or duly registered in and declared effective by, such jurisdiction and the required "Uniform Franchise Offering Circular" has been delivered to the prospective franchisee before the sale in compliance with applicable law. If you have any questions concerning the registration status of an Aquarium Adventure franchises in your jurisdiction, please contact Franchise Development at (800) 221-3479.